London Rollergirls Win 2016 D1 Playoffs in Montréal! 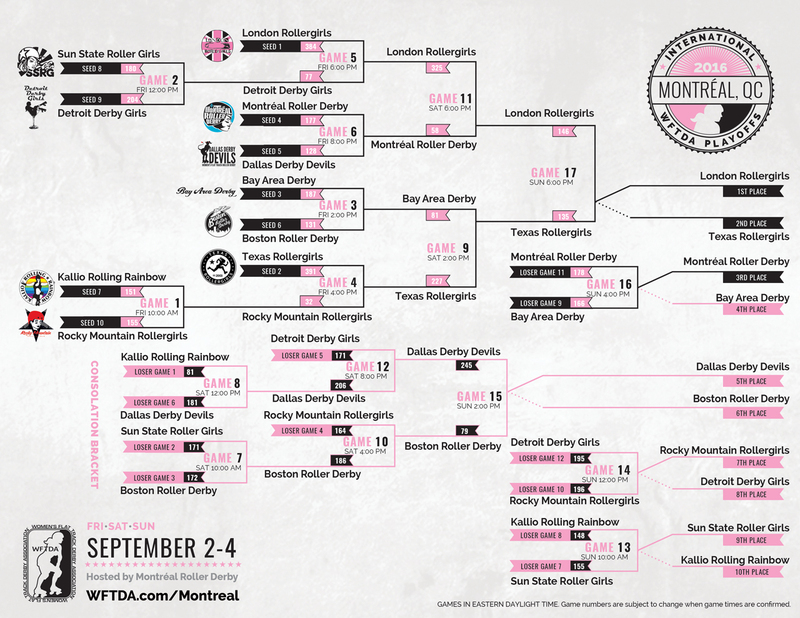 London Rollergirls (Seed 1) won the 2016 International WFTDA Division 1 Playoffs in Montréal, and will head to Championships in November. They will be joined by Second Place winners, Texas Rollergirls (Seed 2) and Montréal Roller Derby (Seed 4) who came in Third. Download the final D1 Playoffs: Montréal Bracket. Watch archives of the 2016 International WFTDA D1 Playoffs: Montreal online at wftda.tv!